Performance by Nā Lei Hulu I Ka Wēkiu. Courtesy of the artist. Celebrate San Francisco’s artistic history at the fourth annual San Francisco Arts Commission (SFAC) Grants Convening in the Herbst Theater. Join the Arts Commission, grantees, commissioners, and members of the arts community as they mark the 25th anniversary of the landmark Cultural Equity Endowment Legislation, enacted into legislation in 1993, to create a fund to support the arts in marginalized communities. A video will highlight the past twenty-five years along with a panel of former grantees who have been impacted by support from the Endowment and SFAC. Director of Cultural Affairs Tom DeCaigny and Director of Community Investments Barbara Mumby will present an overview of findings from the most recent grants cycle. The evening also includes a presentation of the Artistic Legacy Grant to the 2018 awardee, Artistic Director Patrick Makuakāne of Nā Lei Hulu I Ka Wēkiu. 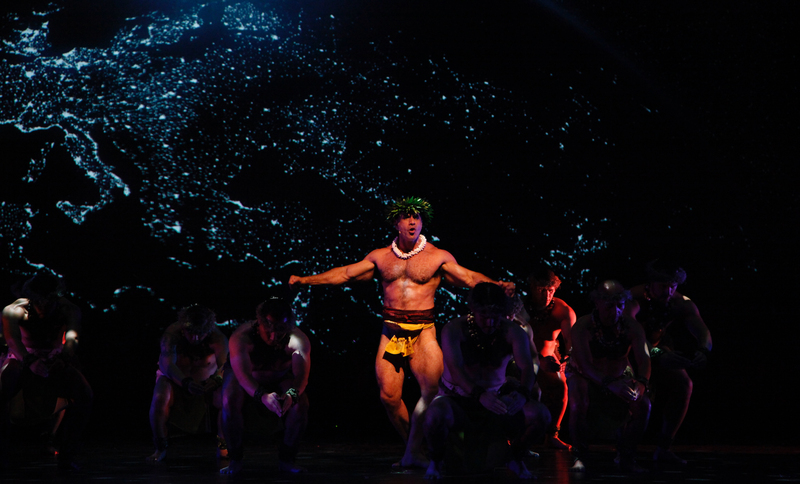 The presentation includes a live performance choreographed by Makuakāne. The night also includes a presentation of the brand-new Ebony McKinney Arts Leadership Award to its first-ever recipient. After the program, there will be an opportunity to mingle and connect with staff and others in the arts community. Current and former grantees as well as prospective grant applicants are highly encouraged to attend. Light refreshments will be served. The event is free and open to the public. The Herbst Theater is wheelchair accessible.